If you have bleeding gums, it could be a sign you really need to come and visit our family dentists. It is important to know the possible causes of bleeding gums because there can be many reasons and you could be getting alarmed over nothing. If you are worried about your dental health, we certainly recommend you make an appointment immediately. Let’s take a look at some of the reasons your gums could be bleeding in the first place. Periodontal diseases are infections around the teeth. This includes the gums, the roots, the periodontal ligament and even into the alveolar bone. 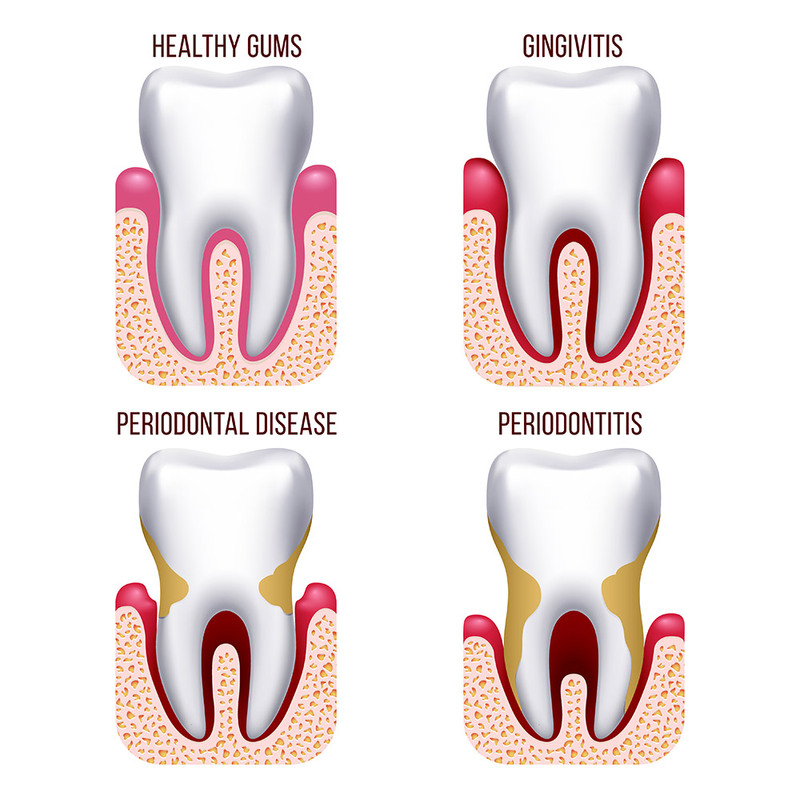 Gingivitis is the earliest stage of periodontal disease where the gums are infected. As infections become more severe and spread, all of the supporting tissues supporting teeth become infected. Eventually teeth become so loose they need to be extracted. Have you changed your toothbrush or have you changed the way you floss your teeth? Flossing more frequently or more aggressively can lead to bleeding gums. Look at the way you floss and brush, and if something has changed, you can wait a few days to see if your situation improves. If your situation does not improve, we would like to ask you to make an appointment to visit us. Some women find they have swollen gums and bleeding while they brush their teeth when they are pregnant. This type of gingivitis is known as pregnancy gingivitis. It is caused by hormonal changes during pregnancy. It is still important to make an appointment with us. The biggest issue with bleeding gums is the fact that it can be a sign of gingivitis. Gingivitis can develop into the serious condition of gum disease. It’s always best to find out the cause of your bleeding gums with us as soon as possible.